Are you looking to generate more sales-ready leads while lowering the costs per lead? Consider implementing a lead nurturing strategy. Lead nurturing is the process of further educating and building relationships with non-sales ready leads in order to move them further down the marketing funnel and closer towards becoming an opportunity. A new lead generated from a white paper or other premium content isn’t necessarily ready to speak with sales or make a purchase from you. You need to nurture them over time, building trust and credibility between your company and the lead as they grow their knowledge of your products and services. Let’s put it this way, consider the process of dating. You wouldn’t take a girl out on a first date and have her meet your parents. Instead, you would ask for a second, third, fourth date, get to know her over time, and when ready, make the introduction to your parents. By the time you know she’s ready to meet the parents; you’ve built a relationship and trust that she and your parents will get along well. Like dating, nurturing leads over time and building a relationship produces mutually beneficial results. On average, companies that work this process produce 20% more sales opportunities than companies that don’t nurture their leads. A cost-effective marketing tactic to nurture your leads and help keep your business top of mind is email automation. Once a visitor completes a form on your website and becomes a lead, they should hear from you immediately. This is hard to implement and sustain manually, but with automation, you set it up once, and never think about it again. In these automated emails, content offered educates your prospects and entices them with further calls-to-action and reasons to engage further with your company. These content offers should map to different stages of your sales cycle so they match where they are in the buying cycle. It’s important to have content for the lead that is just starting their search as well as other content for those leads that are ready to talk to an engineer. So you know you want to produce more demand from the leads you are generating, but where do you start? Here are 10 simple steps to build an automated lead nurturing campaign for your company. Follow each step to not only see an increase in sales-ready leads, but lower costs simultaneously. Step #1: Set yourself up for success. Take your time to review several marketing and email automation tools in order to choose the one best suited for your needs. We have found that HubSpot provides the best value and efficiency for small to medium sized businesses who may be using disparate tools for inbound activities such as email, social media, and website analytics. Step #2: Timing is critical. When someone becomes a lead, send him or her a follow-up email as soon as possible, and no later than 24 hours. Studies show that email response rates decline over the age of the lead. Step #3: It will take several interactions. Lead nurturing is not a one and done deal. It will take several emails and interactions to guide a lead down the marketing funnel to become a sales qualified lead. Determine the timeframe of your typical sales cycle by looking at past data and talking to your sales team. 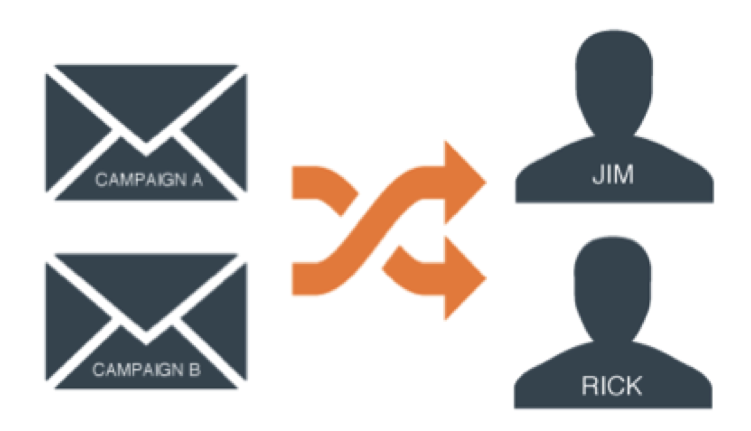 Then mirror the length of your lead nurturing campaign after this cycle, consistently emailing the lead throughout. Monitor your email performance metrics to find the right number of emails that will not overwhelm or alternatively turn your lead cold. Step #4: Relevant content draws customers in. In your follow-up email, highlight relevant content that acts as a next step for the reader. For example, if the lead downloaded a white paper titled “Evaluate Your Website,” offer additional content related to website best practices. This is not the time to introduce a new unrelated product or service. Step #5: Map offers to the buying cycle. The type of content offered is just as important as the timing and relevancy. When a lead is in the stage of initial research, they are looking for educational material like blog posts and white papers; alternatively, when a prospect is evaluating vendors, case studies of past work, a free trial or consultation will be more effective. Step #6: Keep it short and sweet. If you stay focused on one topic in the email, it should not be difficult to keep the email brief. Now is not the time to add in custom HTML, cool fonts, or multiple images. The lead should be able to glance at your email and within a few seconds know the value it provides them and the next actions they can take. Step #7: Subject lines matter. Just like the body content of the email, it’s important to keep subject lines short and to the point. Keep it under 50 characters and avoid using salesy, promotional terms with all caps and exclamations points that the reader might mistake for SPAM. Step #8: Measure progress. Tracking key metrics in your email campaign, such as open rate, click-through-rate (percentage of people who clicked a link in your email), and unsubscribe rate are key to ensuring that your marketing tactics are helping you reach your business goals. If your metrics are getting worse, it’s time to re-evaluate your campaign and try testing stronger subject lines, adjusting the timing or calls-to-action, or changing your email copy. Step #9: Inform Sales. Make the sales process more efficient and effective by informing your sales team of all the content offers the lead has received. No need for a sale rep to revisit information the lead has already seen, or rattle off benefits the lead is already aware of. This will only waste time and likely frustrate the potential customer. Step #10: Have an exit strategy. Once the lead becomes sales qualified (this is a whole other topic that we’ll dive into in another post), remove them from the lead nurturing campaign. They do not need to keep receiving content offers once a sales rep has contacted them. Likewise, if you continue to email them but they do not interact or unsubscribe, do not delete them – you never know when a lead will re-engage, so it’s important to stay top of mind. But consider reducing the frequency of emails you send to them, and simply keep them on your e-newsletter list with the rest of your database. Ultimately, the end goal of lead nurturing is to efficiently move a lead methodically down the marketing funnel so they have the opportunity to raise their hand when they’re ready for contact from sales. Take these steps into consideration when implementing your next lead nurturing strategy and generate more sales-ready leads and opportunities for your business. Need help getting stated? TREW Marketing is a HubSpot Certified Partner, utilizing their marketing automation software on behalf of our clients to implement programs such as email automation. Read more about our marketing automation services here.